Newly updated!Guests in church often decide whether to return or not before service even starts. 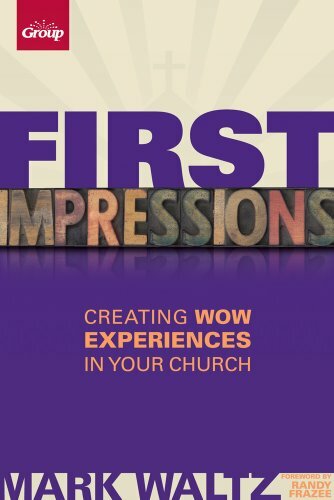 It's crucial to create a welcoming environment for guest of your church--to ensure that their first impression is the best impression. Author Mark Waltz gives you practical strategies that have worked in his own church--that you can easily implement in yours.Learn how to make guests feel welcome the moment they pull in to your parking lot.Gain an understanding of the philosophy, strategy, and implementation of a ministry that focuses on welcoming guests.Get practical ideas that take your church "greeting" to a whole new level.Includes updated information.